This hypnosis script download will help your clients to feel and think differently about themselves on a subconscious level so that they project a naturally confident aura to everyone they meet. This script offers a valuable combination of effective healing techniques. 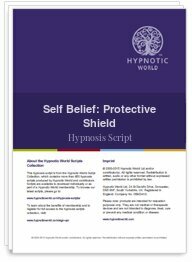 By activating powerful post hypnotic suggestions this hypnosis script to improve self-belief offers your clients a way to a happier, healthier, more assertive way of life.